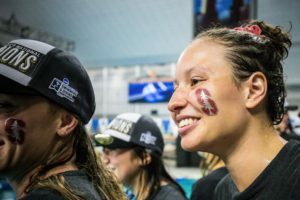 2019 W. NCAAs: How Did SwimSwam's Power Rankings Hold Up? 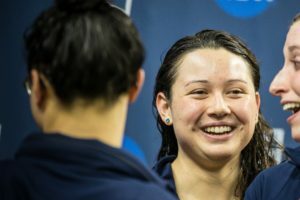 Tweet 2019 W. NCAAs: How Did SwimSwam’s Power Rankings Hold Up? The 2019 Women’s Division I NCAA Championships wrapped up in Austin, Texas, Saturday night. Let’s take a look at how SwimSwam’s final Power Rankings compare to the actual team finishes. Difference: In this instance, a minus (-) is good: it means a team placed higher than projected. A plus (+) means a team moved back, placing further back than projected. There are two distinct ways to look at our Power Rankings, and the ground between them is the balance we try to strike when creating them. There’s a predictive element: projecting how a team will fare over the season based on how they’ve performed at NCAAs in previous seasons. But our ranks aren’t entirely predictive – there’s also an element of trying to capture team strength at that specific moment, a snapshot in time of team strength, if you will. If a team performs lights-out at midseason, we should see that reflected in our ranks, even if we’re not sold that team can repeat their times at NCAAs. That said, we can look at these changes two different ways. If our ranks are a true ‘snapshot in time’, then the teams that moved up can be encouraged that they ‘overperformed’ – that is, performed so well that they beat teams that were swimming faster than them prior to the meet. On the other hand, relying solely on the predictive element, we could interpret these rankings as where we were right or wrong. (We have no doubt many will enjoy interpreting them this way!). We wound up too low on Louisville, oddly enough, considering we were rating Louisville much higher than the Swimulator projections most of the year. Louisville rising from 6th in our ranks to 4th overall is mostly a product of Texas and Tennessee underperforming, but also speaks to just how well the Cardinal women showed up for the NCAA meet. Virginia was the biggest surprise. The Cavaliers surged to 6th overall. Again, we were higher on them most of the year than Swimulator projections, but apparently we weren’t high enough. 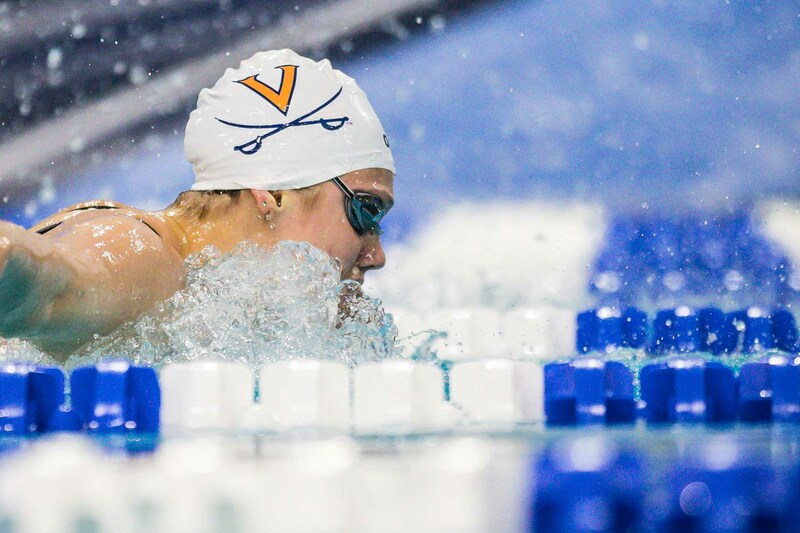 It’s a classic case of a team swimming tired in-season: UVA peaked at 8th in our ranks in November, but then flew under the radar until NCAAs. Minnesota also overperformed compared to our final rankings, though we did have the Golden Gophers 11th in three straight rankings before that. Arizona also outperformed their rank, launching to 14th overall. We had them pretty consistently between 18 and 20 most of the year. The only teams that didn’t make our top 20 Power Ranks but did finish in the top 20 at NCAAs were UCLA (17th) and Arizona State (20th). Texas and Tennessee were the main culprits, and in hindsight, we should’ve seen it coming. We actually had Tennessee right on (8th place) in our pre-season ranks for SwimSwam Magazine – in part because we were concerned with how they’d show up at NCAAs. Merely holding onto their 800 free relay seed time would’ve left them 5th, right where we projected. But it’s on us for projecting the best-case (or at least a better-case) scenario for a team that hasn’t typically been their best at NCAAs. Texas did wind up 5th, but certainly weren’t as stellar as we’d projected – they were six points out of 8th. They’ve started to back up their fast mid-season swimming over the past few years at NCAAs, but we bought in a little too high on a team that was pretty reliant on freshmen swimming a lot of key events and relays. Texas A&M and Georgia just weren’t the powers they usually were. It’s hard not to give programs like that the benefit of the doubt, but after big graduating classes, it was clear these two just didn’t have the firepower. Them moving down was mostly the result of teams like Virginia and Minnesota showing up so well in the NCAA spotlight. It also reminds us that while you can usually still expect good programs to find a way, the increasing parity in top-level NCAA swim programs means there’s no guarantee that the same teams will find their way to the top even with a relatively bare cupboard. We hit the top 3 head-on, which was a testament to how clear the Swimulator made it that Stanford, Cal and Michigan were the class of the field. NC State is a pretty good example of what we hope these ranks reflect. After a down 2018 NCAAs where they ended 18th, the Wolfpack started the year 14th in our ranks – exactly the balance we hope to hit between accounting for last year’s performances while also reflecting the talent on a team’s roster and coaching staff. NC State steadily rose from 14th to 12th to 9th over the season, sliding to 10th just before ACCs (when we knew the traditional NC State explosion was coming). We ended up slotting them in 7th – exactly where they finished, even with Tennessee sliding behind them and Virginia surging up ahead of them. We get credit for not being too reactive on Auburn. Psych sheet scoring had Auburn 6th overall, but we only moved them up to 12th. That wound up being right-on. We also hit Kentucky, Wisconsin and Arkansas right-on. That’s a combination of accurately expecting big meets from stars like Beata Nelson, and also accurately projecting the dive points Arkansas would get from Brooke Schultz. This is exactly the type of article I want to see after a big meet. Nice job swimswam!